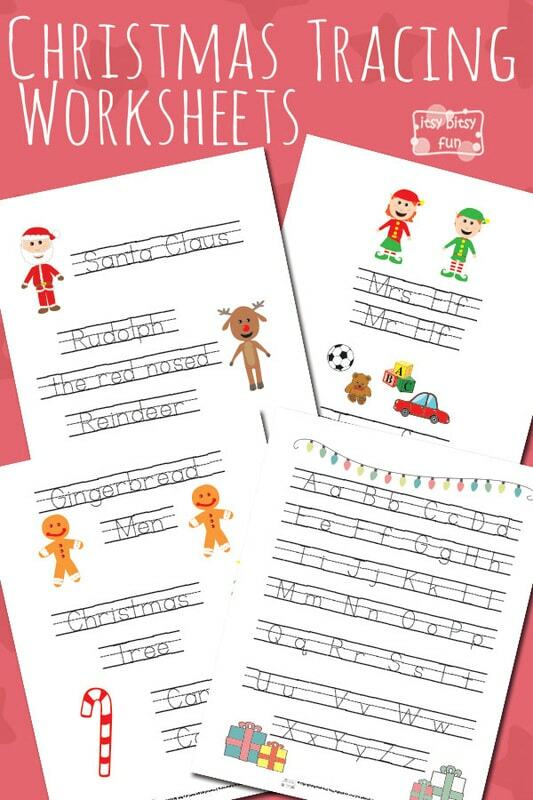 If you’r kid is practicing their writing just about now the are going to love these Christmas letter and word tracing worksheets. Taking first steps into writing can be a lot easier if you use alphabet tracing worksheets! Younger kids can use markers to trace the letters and older ones (as they are more skilled) can use a regular pen! I do recommend you laminate these so you can use them over and over again. Now I don’t recommend these as a first step into writing as there are a ton of hands on activities that will help them master pre-writing and writing skills and once they are ready to grab a pen and a piece of paper these will be perfect (around Christmas time that is). This printable set includes 4 pages with tracing activities. 1 page with the whole alphabet to trace. 3 pages with Christmas-y words and phrases to trace. 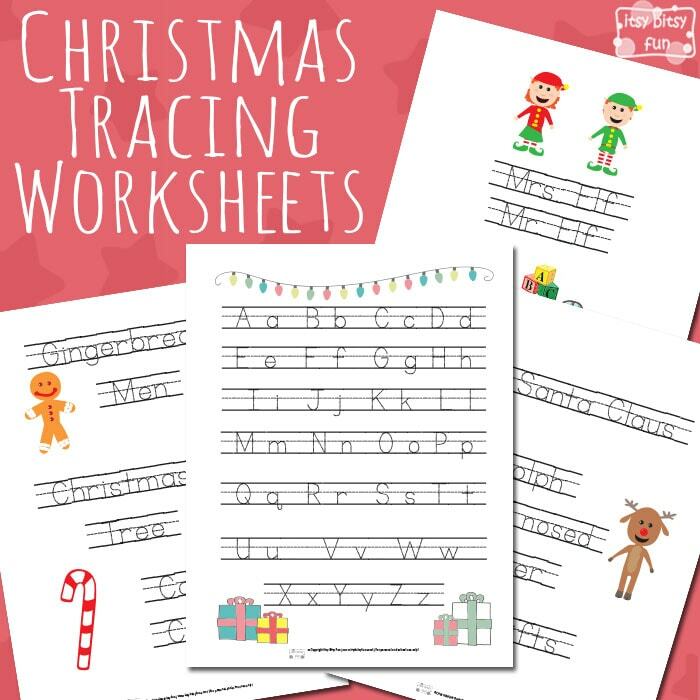 Get these free printable Christmas Tracing Worksheets here. Now that we have the letters under control why not work on some super simple math (and number tracing)? These Christmas counting worksheets are more than perfect for that. But why not just check all the festive leaning printables I’ve made to date they are all “filed” under Christmas worksheets for kids.